At Fukushima Unit 4, the impending removal of hugely radioactive spent fuel rods from a pool 100 feet in the air presents unparalleled scientific and engineering challenges. With the potential for 15,000 times more fallout than was released at Hiroshima, we ask the world community, through the United Nations, to take control of this uniquely perilous task. Fukushima continues to spew out radiation. The quantities seem to be rising, as do the impacts. The site has been infiltrated by organized crime. There are horrifying signs of ecological disaster in the Pacific and human health impacts in the U.S. But within Japan, a new State Secrets Act makes such talk punishable by up to ten years in prison. Taro Yamamoto, a Japanese legislator, says the law “represents a coup d’etat” leading to “the recreation of a fascist state.” The powerful Asahi Shimbun newspaper compares it to “conspiracy” laws passed by totalitarian Japan in the lead-up to Pearl Harbor, and warns it could end independent reporting on Fukushima. But it’s Fukushima that hangs most heavily over the nation and the world. Tokyo Electric Power has begun the bring-down of hot fuel rods suspended high in the air over the heavily damaged Unit Four. The first assemblies it removed may have contained unused rods. The second may have been extremely radioactive. But TEPCO has clamped down on media coverage and complains about news helicopters filming the fuel rod removal. Under the new State Secrets Act, the government could ban—and arrest—all independent media under any conditions at Fukushima, throwing a shroud of darkness over a disaster that threatens us all. By all accounts, whatever clean-up is possible will span decades. The town of Fairfax, CA, has now called for a global takeover at Fukushima. More than 150,000 signees have asked the UN for such intervention. As a private corporation, TEPCO is geared to cut corners, slash wages and turn the clean-up into a private profit center. It will have ample opportunity. The fuel pool at Unit Four poses huge dangers that could take years to sort out. But so do the ones at Units One, Two and Three. The site overall is littered with thousands of intensely radioactive rods and other materials whose potential fallout is thousands of times greater than what hit Hiroshima in 1945. Soon after the accident, TEPCO slashed the Fukushima workforce. It has since restored some of it, but has cut wages. Shady contractors shuttle in hundreds of untrained laborers to work in horrific conditions. Reuters says the site is heaving infiltrated by organized crime, raising the specter of stolen radioactive materials for dirty bombs and more. Thousands of tons of radioactive water now sit in leaky tanks built by temporary workers who warn of their shoddy construction. They are sure to collapse with a strong earthquake. TEPCO says it may just dump the excess water into the Pacific anyway. Nuclear expert Arjun Makhijani has advocated the water be stored in supertankers until it can be treated, but the suggestion has been ignored. Hundreds of tons of water also flow daily from the mountains through the contaminated site and into the Pacific. Nuclear engineer Arnie Gundersen long ago asked TEPCO to dig a trench filled with absorbents to divert that flow. But he was told that would cost too much money. Now TEPCO wants to install a wall of ice. But that can’t be built for at least two years. It’s unclear where the energy to keep the wall frozen will come from, or if it would work at all. Meanwhile, radiation is now reaching record levels in both the air and water. The fallout has been already been detected off the coast of Alaska. It will cycle down along the west coast of Canada and the U.S. to northern Mexico by the end of 2014. 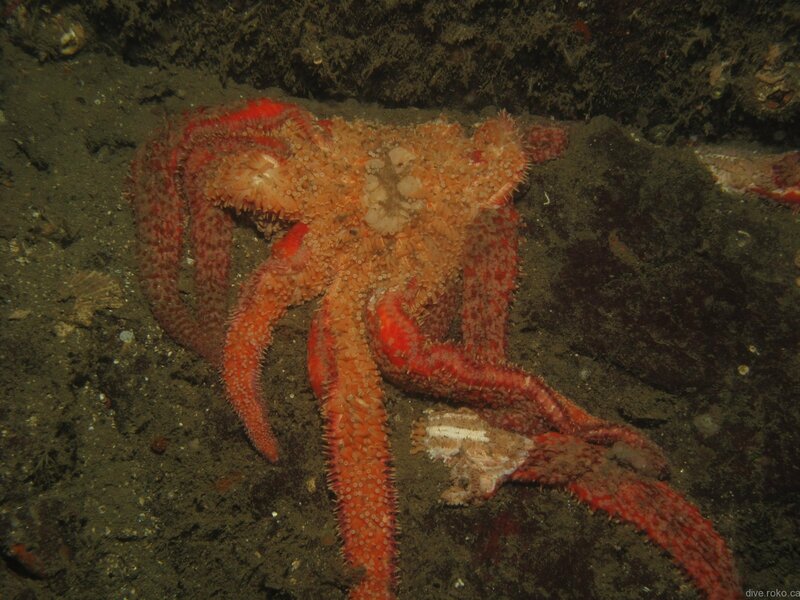 Massive disappearances of sea lion pups, sardines, salmon, killer whales and other marine life are being reported, along with a terrifying mass disintegration of star fish. One sailor has documented a massive “dead zone” out 2,000 miles from Fukushima. Impacts on humans have already been documented in California and elsewhere. Without global intervention, long-lived isotopes from Fukushima will continue to pour into the biosphere for decades to come. The only power now being produced at Fukushima comes from a massive new windmill just recently installed offshore. Amidst a disaster it can’t handle, the Japanese government is still pushing to re-open the 50 reactors forced shut since the melt-downs. It wants to avoid public fallout amidst a terrified population, and on the 2020 Olympics, scheduled for a Tokyo region now laced with radioactive hot spots. At least one on-site camera has stopped functioning. The government has also apparently stopped helicopter-based radiation monitoring. A year ago a Japanese professor was detained 20 days without trial for speaking out against the open-air incineration of radioactive waste. Now Prime Minister Abe can do far worse. The Times of India reports that the State Secrets Act is unpopular, and that Abe’s approval ratings have dropped with its passage. But the new law may make Japan’s democracy a relic of its pre-Fukushima past. It’s the cancerous mark of a nuclear regime bound to control all knowledge of a lethal global catastrophe now ceaselessly escalating. This video discusses the Fukushima nuclear reactor meltdown disaster. 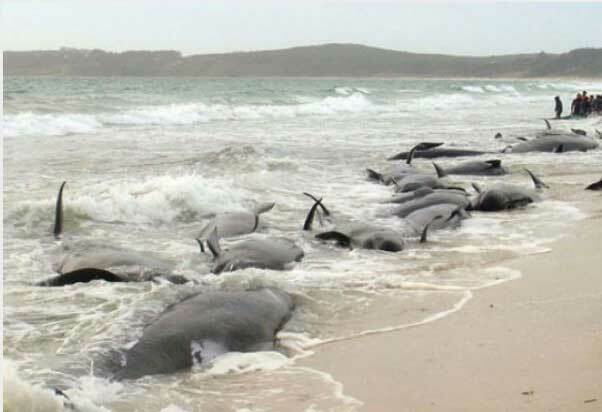 As a result of this disaster, our oceans are dying! Lots of information about the effects of different kinds of radiation on all living things – plants, animals and people! Maps of radiation fallout, water currents and types of radiation coming from Fukushima. The description below comes from the description of the video on youtube. (Note: RadChick’s channel now has copyright issues, so she can no longer upload videos longer than 15 minutes, nor can she offer creative commons remix button). RadChick ReMastered the interview upload, added more information, and asked me to re-upload the interview in entirety. Please feel free to remix this video on your channel. And as a side note: I wanted to thank everyone who has joined in and mirroring these videos. I like the dialog everyone is having and I like everyone taking the initiative. Thank you. ***Oh, and PS: this was taped Before the last big earthquake hit off of Fukushima October 25, 2013! *** We have no credible information on the damage to the reactor buildings spent fuel pools, or holding tanks since the most recent Big Earthquake Oct. 25, 1013.